Check out our Best VPN for iPhone guide updated for 2019. If you believe everything you read in the media, the previous twelve months have been a bit rocky for the iPhone. But despite this, they remain hugely popular with a significant proportion of the smartphone market and VPN use with them is on the rise. In this guide we will tell you which are the best VPNs for iPhone users in 2018. Sales of Apple’s new models of their flagship smartphone, the iPhone 8 and iPhone X did not initially meet expectations. But as the festive season approached, sales have picked up and there is every reason to believe that 2018 will be another bumper year of iPhone sales for Apple. However, one aspect of the iPhone which has taken a hit is the idea that it is a completely secure device. Apple has admitted that the device was affected by the Spectre vulnerability and the FBI have managed to unlock the device of the San Bernardino killer. 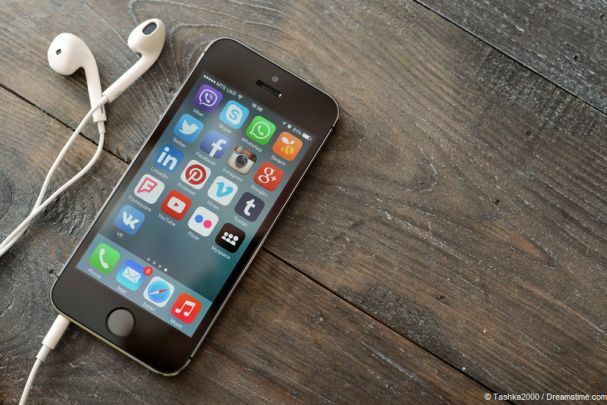 With software flaws also affecting iPhone users and privacy an ongoing issue for users of all connected devices, the notion that a VPN is as necessary when using an iPhone as any other smartphone is now firmly established. IPVanish was our Editor’s Choice of the best VPN in 2017 and it remains top of the pile in 2018 too. This is especially true for iPhone users, who can benefit from IPVanish’s fantastic and easy-to-use iOS app with its one-click connect feature. There are plenty more reasons why IPVanish is the best VPN provider besides their app. They have a no user logs guarantee and rock-solid encryption meaning you can be sure online activity is secure and private. They have a great network of servers in locations all around the world, no limitations on bandwidth or file types you can use, and connection speeds are consistently fast and reliable meaning the speed of your device should not be noticeably effected. There is not a fault to be found with the IPVanish offering, but if you do come across an issue, their customer service team are pretty good too. If there is a VPN that is knocking at the IPVanish door, then it has to be ExpressVPN. Their dedicated iOS is another beautifully designed and easy to use one which also allows you to connect to their service with just one click. ExpressVPN is located offshore, which means they can offer impeccable privacy protections including a guarantee that they keep zero user logs. Their encryption is also state-of-the-art and few providers offer better. ExpressVPN is a great provider to choose if you take your iPhone around the world. Their server network takes in a huge 94 different countries which means they have one of the largest coverages of any major VPN provider. The only real downside to ExpressVPN is that it is priced a little on the high side. But with our exclusive offer, you can make some savings on that and this makes ExpressVPN another great VPN bet for iPhone users. NordVPN is another well-established VPN which has built itself a great reputation among iPhone users thanks to its great range of features and beautiful dedicated iOS app. As with most mobile VPN apps, the NordVPN app does not have all the features of its desktop equivalents, but with a neat map design and a one-click connect feature this is one of the best around. NordVPN is a solid all-around VPN provider too. They have a big network of servers, including many with special features such as Double Hop VPN and VPN-over-Tor, which other providers don’t offer. They are also based offshore which means that their privacy provisions are as robust as they get. The NordVPN encryption is also on a par with all the other providers on this list too. The one downside with NordVPN is that sometimes their connections speeds can be a bit variable. But this is something they are swiftly improving and at the very cost-effective prices they charge, NordVPN is a great bet for iPhone users. CyberGhost is perhaps the most recognisable VPN provider around thanks to its distinctive Ghostly logo. But don’t put this provider down as one for gimmicks, because underneath the tongue-in-cheek branding is a top-quality VPN provider, with a great offering for iPhone users. In recent times, they have improved their service significantly and added to their server network. Today, you can benefit from servers in more than 51 different countries. Their encryption and privacy policies are dependable, and their dedicated iOS app is both fun and easy to use, with a very slick design. For newcomers to VPNs, this is perhaps the best app to learn the ropes on in our opinion. With rapid improvements come a few inevitable teething problems and, like NordVPN, CyberGhost does occasionally suffer from speed issues. But they are another affordable option and also offer a big 30-day money-back guarantee, so iPhone users have nothing to lose by giving them a try. 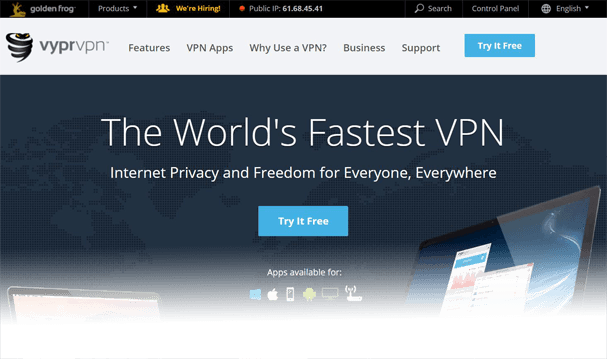 VyprVPN is another provider which offers a great all-around service at an affordable price. And for anyone not certain about signing up, there is a great 3-day free trial available which allows you to try their service before you buy. VyprVPN is another provider which offers top-range encryption, including their unique Chameleon encryption protocol which is available for Premium subscribers. Their privacy policies are sound too, but they do admit to retaining some connection logs, which is not ideal. But if this doesn’t concern you, there is much to praise about their service. Their dedicated iOS app is another well-designed and easy-to-use offering. They have a server network which now extends to in excess of 70 countries. And their connections speeds are faster than average too. With the chance to try before you buy and affordable prices available too, VyprVPN is not just making up the numbers but is a worthy addition to the list of best VPN for iPhone 2018. With the case for using a VPN in iPhone’s now accepted by pretty much everyone, the question of how to choose the best one for your device is the next big question to tackle. Not only do different users have different requirements from their VPNs, but a conservative estimate has more than 1000 different VPN providers in the market at the moment. Trying to find the best provider from such a huge selection can be a time-consuming and often thankless task. But that is where VPNCompare.co.uk comes in. We regularly review all the best VPN providers on all the main devices to ensure we are providing our readers with nothing less than the most recent and the best advice. When reading up on VPNs it is vital to look for recent content because providers and their services do change all the time. You can be sure that you are getting the very latest information here. So, to find the best VPN for the iPhone in 2018, we have researched and tested, and reached the conclusion that the five providers above are currently the best on the market. If you are in a hurry, then we have concluded that IPVanish is the best choice for iPhone users. But if you want to shop around, why not give all five of our recommended providers a go and see which works best for you. How do I install a VPN on iPhone? You can go about installing a VPN onto an iPhone in two different ways and these ways should be broadly the same regardless of which VPN provider you opt for. The easiest way and the one most users will opt for, is to use your VPN providers dedicated iOS app. Almost all VPN users have one of these, including all of the recommended providers in this article. Unless you live in China, you will be able to find and download these from your local App Store. To use your VPN app, you will need to first visit the provider’s website, which you can do quickly and easily using the links on this page. Follow the instructions to sign up for the service. Once you have done that, open the app and log-in using the details you have been given. Once you have logged in, you should be able to connect with a single click. Otherwise, you can play around with the settings to configure it to your own requirements. Alternatively, if you are technically minded, you can also set up the VPN connection manually. To do this you will need to follow the instructions which will be available on your provider’s website. Will a VPN protect my mobile data connection? Once you have signed up to your chosen VPN provider, installed their app, and connected to their service, everything you do online will be protected regardless of the type of connection you are using. This is because a VPN works by redirecting all of your internet traffic, without exception, down an encrypted pathway and through their servers, before it heads off to its intended destination. This works the same way regardless of which type of device you are using. So, if you are using a VPN on an iPhone, it doesn’t matter if you are connected to the internet through a browser or an app, or whether you are using a Wi-Fi or mobile data connection, everything you do online will be encrypted and private. The iPhone remains one of the best and most popular smartphones on the market, but the myth of its inherent security has now been busted. VPN use has never been more important than it is in 2018 and this is as true when you are using your iPhone as any other device. A VPN is nothing less than an essential tool for iPhone users in 2018 and a growing number of iPhone users are now realising this and choosing to use one. 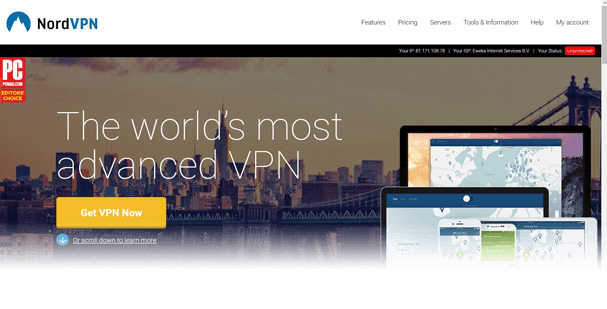 There are a lot of VPNs to choose from but our extensive testing has narrowed that field down to five VPN providers which offer a great service for iPhone users. Depending on how you use your device, any one of these might be the best fit for you, but our recommended VPN provider for iPhone users in 2018 is IPVanish.